Bhilawa is native to India. It grows wild found in the outer Himalayas and hotter parts of India up to 3500 ft. height. 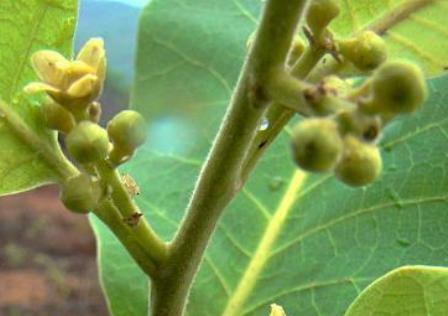 The plant is found in abundance in Assam, Bihar, Bengal and Orissa, Chittagong (Bangladesh) and central India. It has spread even further even to Malayan archipelago and Northern Australia. The Europeans in India started calling it “marking nut” or “dhobi (dhobi means a washerman in Hindi) as it was used by washermen to mark cloth and clothing before washing, as it imparted a water insoluble mark to the cloth. 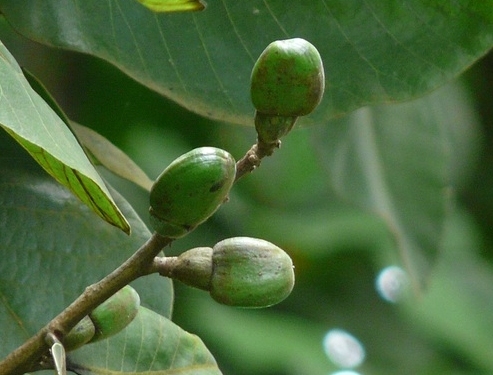 Bhilawa is a close relative of cashew. The fleshy cups on which the nut rests are eaten. A moderate sized deciduous treereaching a height of 12-15 m and a girth of 1.25 m; bark dark brown, rough. Leaves large, simple, 17.5-60 cm, obovate-oblong,. Flowers small, dull, greenish yellow, dioecious, in terminal panicles. Fruit a drupe, 2.5 cm long, obliquely ovoid, smooth, and shining, black when ripe, situated on a fleshy orange coloured receptacle which forms the edible portion. It is the orange coloured receptacle (hypocarp) of the fruit which forms the edible portion and is eaten. It tastes sweet. At times it may be astringent too. 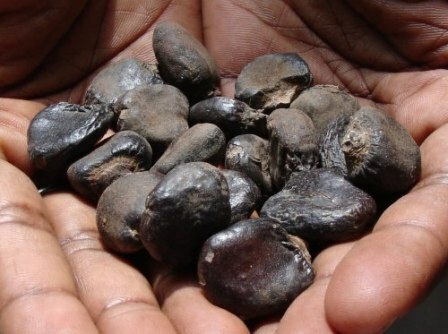 However, the real useful portion of a bhilwa tree is the black nut which abounds in a black oily, bitter and highly vesicant juice which has been used by washer men rationally for putting identification marks on clothes. It is now being used in varnish, paints and plastic industries. 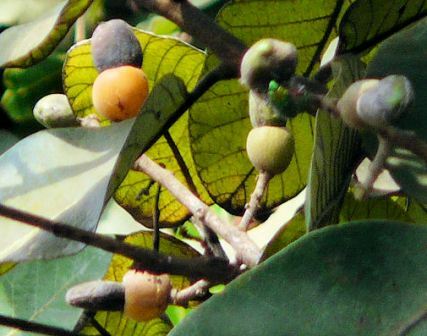 Kernel of fruit is also edible and tastes like an almond. It is sometimes used as a substitute of almonds. 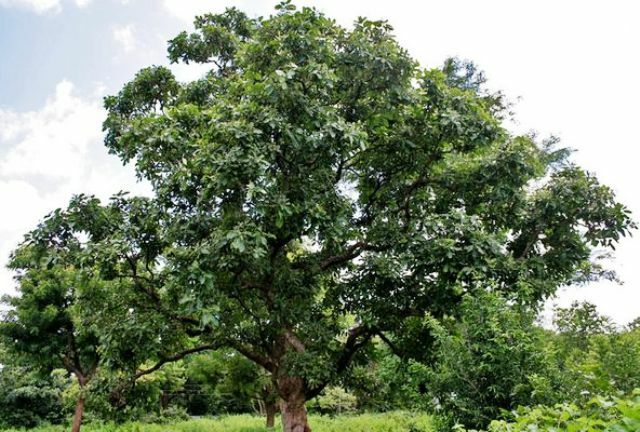 Planting bhilwa trees is being encouraged in India under various agroforestry programmes. For raising new plants, seeds are sown in December. The germination, which is around 30 per cent, starts in 15-27 days. One year old seedlings are planted 45 cm deep pits. Bhilwa is also good coppice. Natural regeneration is also obtainable from stool coppice.